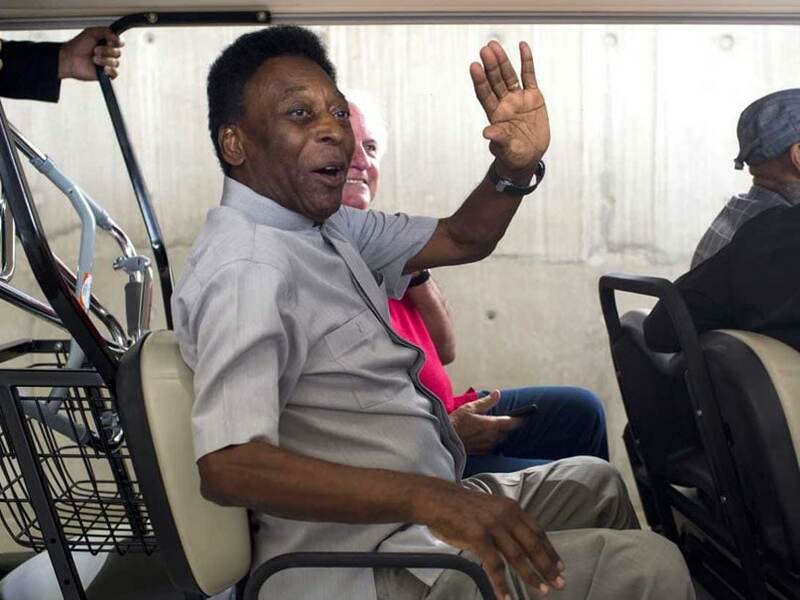 Pele's infection is "under control" and he would be discharged from hospital in "day or two"
Football legend Pele was taken to a Paris hospital as a precaution on Wednesday after suffering from a "urinary infection" but is "doing well", according to members of his entourage. The 78-year-old Brazilian three-time World Cup winner was receiving antibiotics prior to the long flight back to his home country, his spokesman and other sources told news agency AFP. "People tend to say that goals are the most important thing - I thank God for having scored so many in my career - but we must know that we need to be well-supported, you can't score on your own, you need good teammates, that's very important," he said.